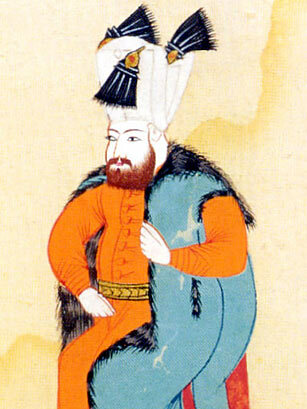 When Sultan Ibrahim I ascended to the summit of the Ottoman Empire in 1640, he was not fit to rule. Ibrahim I was depressed over the death of his brother, suffered frequent nervous attacks and was known to be mentally unstable (he apparently fed the fish that lived in the palace pool coins instead of food). Knowing this, his mother, Kosem Sultana dominated his rule, which left Ibrahim with more time to spend with his 280 concubines. Later, in a fit of madness, he ordered the entire harem be drowned in the Bosphorus. Prozac, One Fish Two Fish Red Fish Blue Fish, my brother, concubines.  "Just got paid. Going to feed the fishies!"  "Bad day. I need my mommy. :( :( :("
 "Going swimming with my ladies in the river!!!"